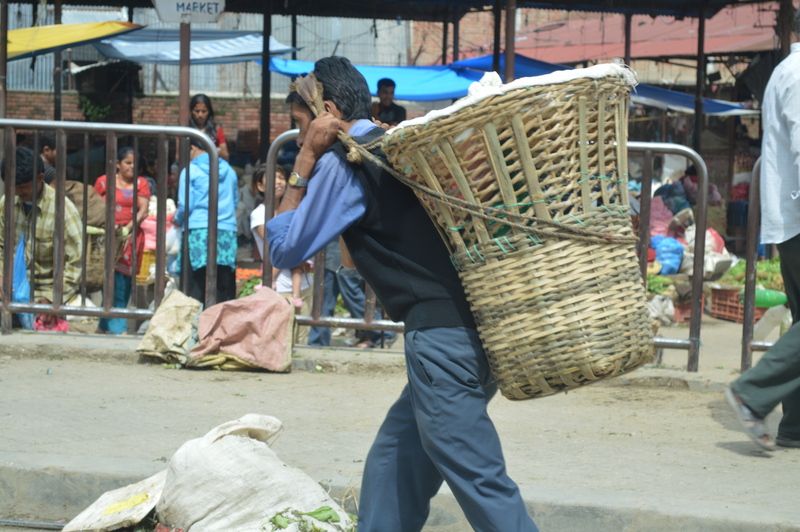 Moving stuff around in Nepal happens on the streets right in front of your face, all day. Its not that it doesn’t happen in other places of course, but here there are less trucks and more individual sellers, all independently trying to get their goods from A to B any way they can. If you can’t afford a truck or don’t even have a bike, then you get to carry things by foot….which is how most people get things done. So, the traditional “dokos” or cone-shaped baskets are ubiquitous here. Everywhere you look they are either being sold or used, secured to the carrier with a very painful looking headstrap. I have watched tiny woman carry loads this way that look twice their size and three times their body weight. They look like ants carrying impossibly large loads. The load-bearing cyclists are everywhere too. 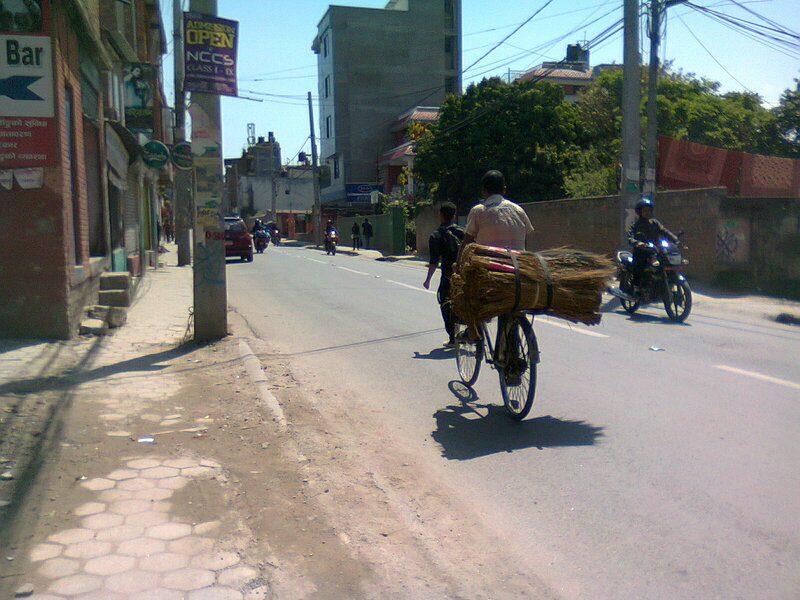 I did an post a while back on the Nepalese trusty bicycle, and they still grab my attention on a daily basis today. Or there’s the head-basket method that I see in the rural areas, especially in the South. Its mostly women carrying laundry loads or small items for sale on their heads with only a mat or straw for padding, which levels their loads and helps protects their heads from the strain of the heavy, precariously-balanced weight. And they are very good at it! Life is always on display here…and death too. 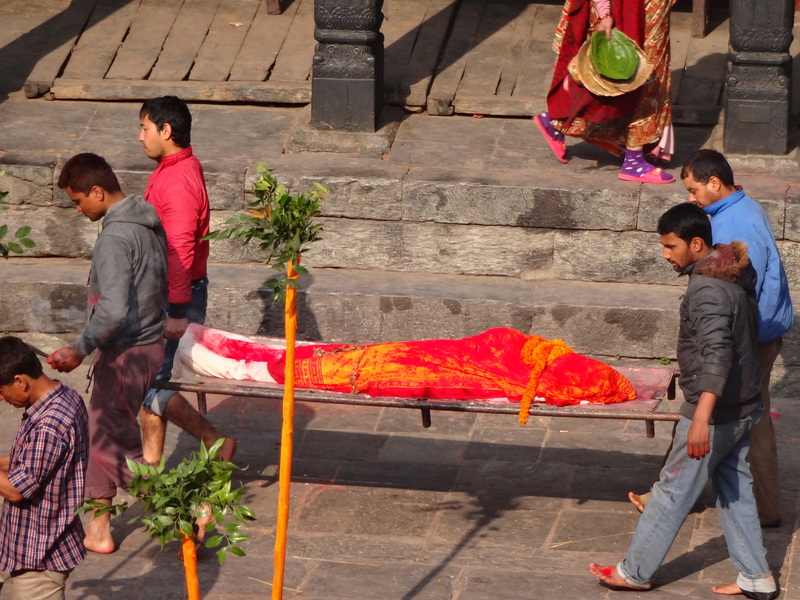 At Pashnupati temple, family pallbearers carry the deceased to the funeral pyre. ..and last – but by no means least – had to include this little guy! 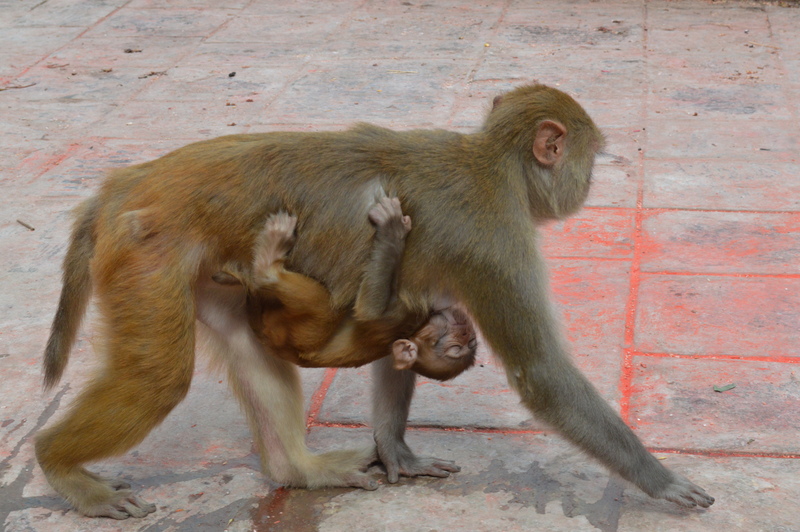 Carrying, monkey momma style!